The Proving Ground by Nathan Miller: UNL Architecture Courses - Towerpalooza! Conceptual Design with Revit: The first course was focused on conceptual family creation and parametric modeling workflows. 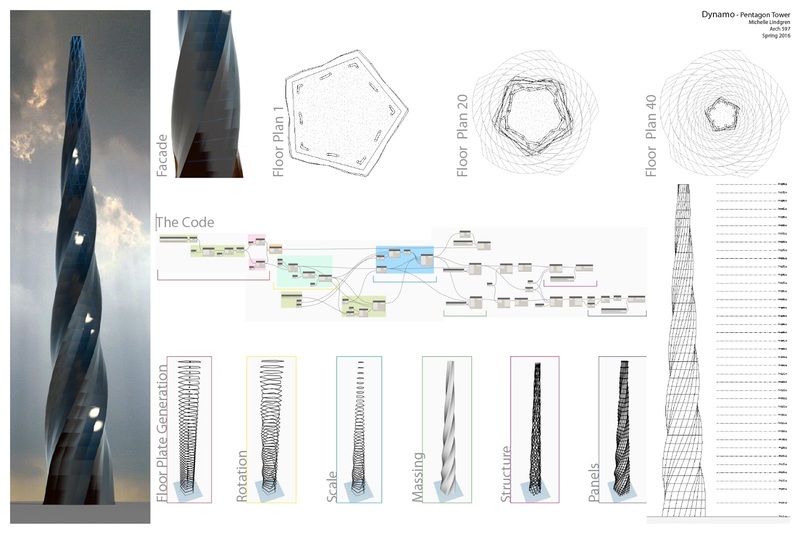 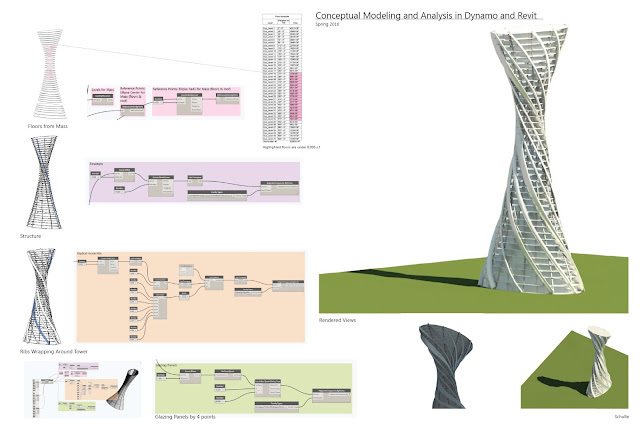 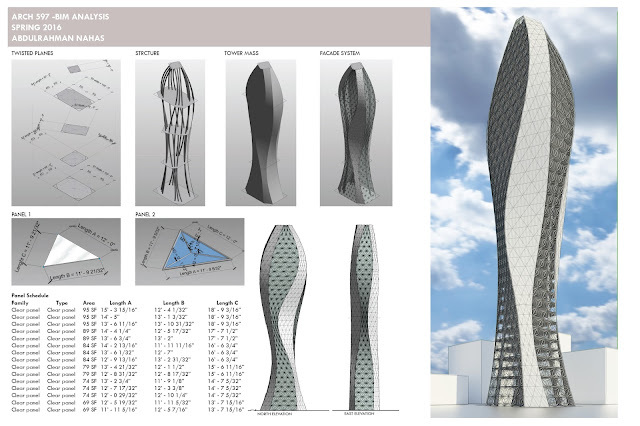 Computational Design with Dynamo: The second course introduced Dynamo as a computational design tool that can be used to facilitate design exploration with BIM. 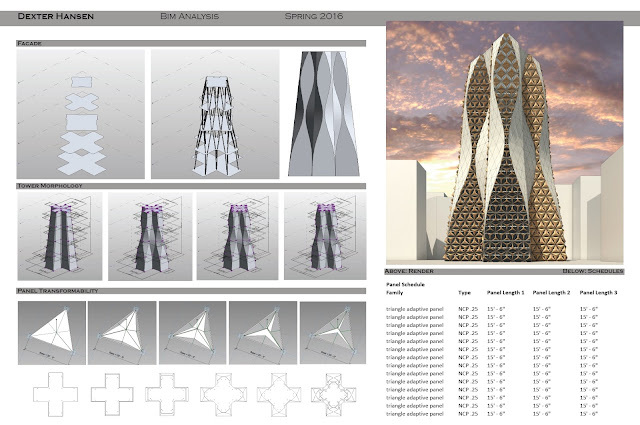 The mini-courses were taught over the span of three Saturday sessions with between 10 and 15 students. Both course assignments used a "tower" as the design prompt and it was interesting to compare and contrast the student results. 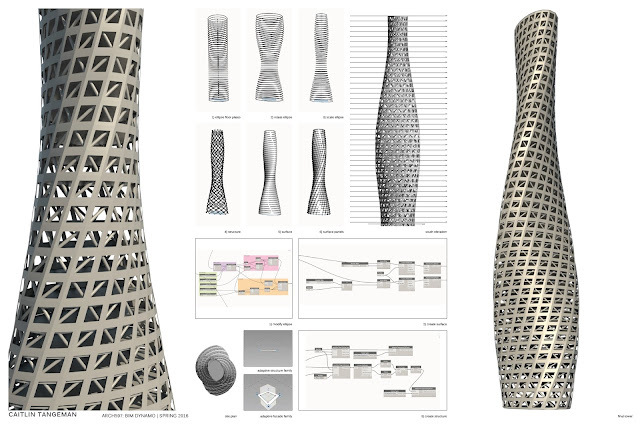 The student products from the parametric family course tended to be more "free" in terms of geometric control with a higher level of development for different design components. 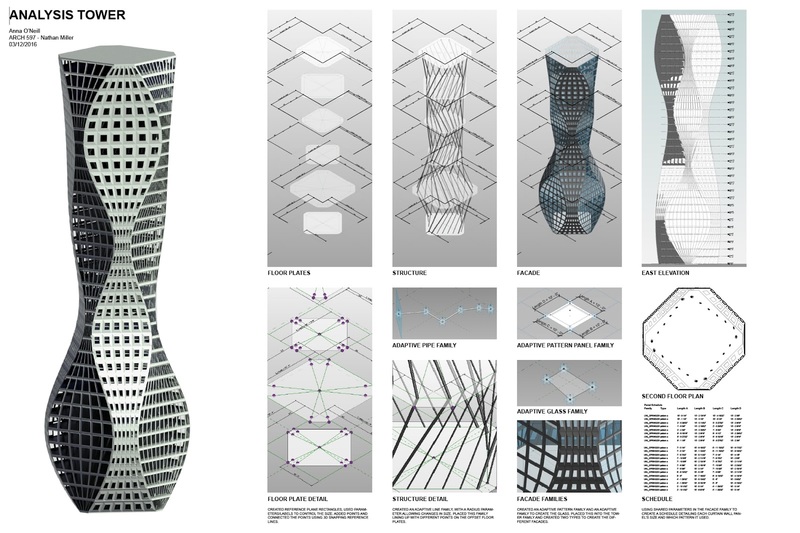 The Dynamo course had a much higher barrier to entry for learning a 'new language' and the products were more formula-driven in terms of overall geometry.